Holkham parkrun is a free weekly 5km timed run (it’s you against the clock!) 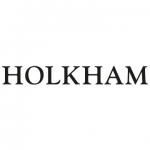 that takes place every Saturday at 9:00am at Holkham Hall. The run is organised by Parkrun, The run is open to everyone.